Are you looking to upgrade your hunting pack? Or did you just pick up hunting as a hobby and now realize that you will never rank among the realms of professional hunters until you get yourself something decent to pack your day’s necessities and yield afterwards? Simply known as the X2 by affectionate owners, Eberlestock’s X2 hunting pack is a small pack which brings on board features which are conventionally found on big packs. It will meet your needs no matter your hunting experience. If you research on Amazon before purchasing you will see it is rated an incredible 4.9 stars by content customers. Below is an Eberlestock X2 Pack review with full details, features, FAQ, etc. 1.5 What is the Benefit of the Flex Chassis? While they are necessary, essential tools like your rifle and bow can hamper your mobility. The Eberlestock X2 pack has an assortment of accessories, most notably the A1SS and A2SS side scabbards which mount to the padlock matrixes on the pack’s side. In this fashion, the X2 pack frees your hands or shoulders from the burden of carrying a rifle, allowing you to do things like scan the environment for a deer using your binoculars. Of course the pack also has room for your binoculars, which can be put in the safe ASP2 case when they’re not in use. If you prefer bows to guns, consider looking up the ARCG ButtBucket from Eberlestock’s repertoire of accessories; it grants you convenient on-the-fly access to your compound bow. If you need to carry a sleeping bag, be sure to check out the ACST regular ladder-lock strap or the ACSL long strap to attach it to the bottom of your pack. One of the issues most hunters complain about is the size of their packs. Of course you need something big enough to carry a big catch, but this is a new age where everything (including your hunting experiences) is driven by innovation and ingenuity. At 2000 cu/in, most hunters would at first sight say that the X2 backpack won’t have enough room for all necessary hunting gear, as well as what they intend to carry when coming back from a hunt. However, due to its bat-wing design and overall form, you will be surprised at how much room that big deer you have been stalking for a whole day leaves. After using the Eberlestock X2 pack on a few excursions, some hunters who reviewed it figured out that if need arises, they can tuck in an extra tent or sleeping bag. One logical reason why Eberlestock designed the X2 to be smaller is to make the bag compact, and hence make it comfortable on a hunter’s back. At 4.7 pounds in its base configuration, the pack easily passes as a lightweight hauler. You will be carrying heavy items in this bag, and people who have used the Eberlestock X2 Pack will testify that they can hike for more hours and miles than with other packs. One of the features that makes this pack comfortable are the X2’s oversized compression straps. As expected, these bring the load closer to the pack’s frame and hence nearer to your back for better balance. To your benefit, the compression strap’s 4 buckles are of top-notch quality so it’s easy to attach and remove your loads. For a hunter, the kind of access a pack offers is important. Going back to the X2’s compression straps, they are designed in such a way that does not obstruct access to the scope or tripod you have secured in its wings. Besides, the storage pockets on its sides means you don’t have to struggle to get things from its main compartment. You can easily grab your water bottle when thirst kicks in, retrieve your camera in good time for a breathtaking shot or take calls if you prefer carrying your phone in the pack. There are several hunting backpacks which are capable of accommodating your tripod but not in the X2’s convenient fashion. The bag’s two wings on either side open up to unveil twin pockets inboard of the hydration pockets. They were designed to allow hunters stow their field scopes and tripods although they can as conveniently carry other items as discussed above. What is the Benefit of the Flex Chassis? You will realize that most reviews of the Eberlestock X2 pack give the FlexChassis at the bottom of the pack a lot of attention. In fact, it deserves to be discussed separately from other features because of its versatility. For one, you can flip it forward and use it as a seat. Secondly and most important, the FlexChassis was designed to cradle the bottom of the load you secure to the pack’s front using the compression straps. As such, it has buckles which complement the four on the compression straps. Lightweight and compact design for ultimate comfort. Easy access to things you carry in the pack. Ample room for bows and rifles to free your hands. There have been no significant complaints about this pack. Nonetheless, some reviewers said that if you use it to carry very heavy loads and trek for long distances, you will feel an impact on your hips. 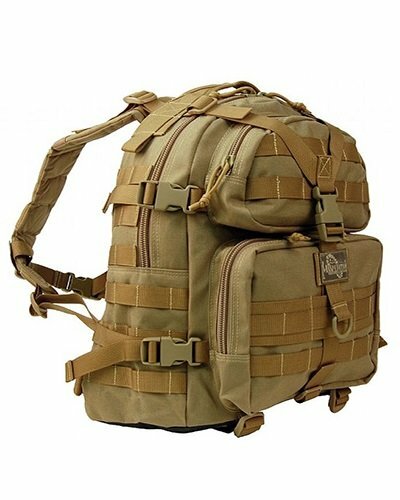 Q: Is it a good option for use as a night pack? A: Although it was designed as a day pack, it can be adapted for use as a night pack depending on what you intend to carry. Q: Does it have adjustments for torso lengths? To sum up this Eberlestock X2 Pack Review, if you are looking for a decent hunting pack this is a great option, and especially because of its versatility in that it can be adapted for other applications like filming. As the manufacturer describes it, it is in a class of its own, which seems to be true considering its awesome rating on Amazon.